UPDATED: Fri., Sept. 7, 2018, 7:34 p.m.
WASHINGTON – President Donald Trump said Friday he’s prepared to impose tariffs on an additional $267 billion in Chinese imports. Such a step would significantly escalate his trade war with Beijing and would likely increase costs for a broad range of U.S. businesses and consumers. Those potential tariffs would come on top of tariffs Trump has said he’s poised to slap on $200 billion worth of goods from China – everything from handbags to bicycle tires. It would also be in addition to tariffs his administration already has imposed on $50 billion in Chinese imports, for which Beijing has retaliated with an equal amount of import taxes on U.S. goods. 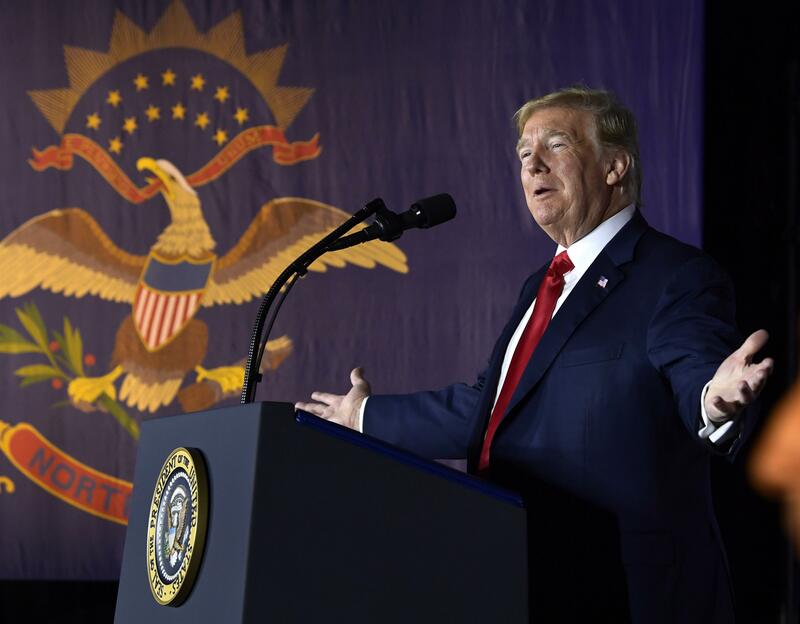 The president’s comments Friday came one day after a public comment period ended on his proposed taxes of up to 25 percent on $200 billion of Chinese imports. Trump said earlier Friday his administration could “very soon” impose those tariffs. China has warned that it would retaliate with import taxes on $60 billion worth of U.S. goods. Published: Sept. 7, 2018, 12:17 p.m. Updated: Sept. 7, 2018, 7:34 p.m.